Entrepreneurship is a crucial source of innovation, employment, and growth in an economy. Consequently, it is a recurring theme in many academic and policy debates. While there is no single, comprehensive measure of entrepreneurship, most studies and policymakers commonly use business entry-rate—defined as the number of new businesses as a ratio of total businesses—as a key indicator of entrepreneurship. In recent years, Canada’s federal and some provincial governments have raised their top marginal income tax rates and increased the progressivity of the personal income tax system. Since earnings from entrepreneurship, including capital gains, are subject to the personal income tax system in Canada, the recent increases in top income tax rates have also increased the country’s capital gains taxes. 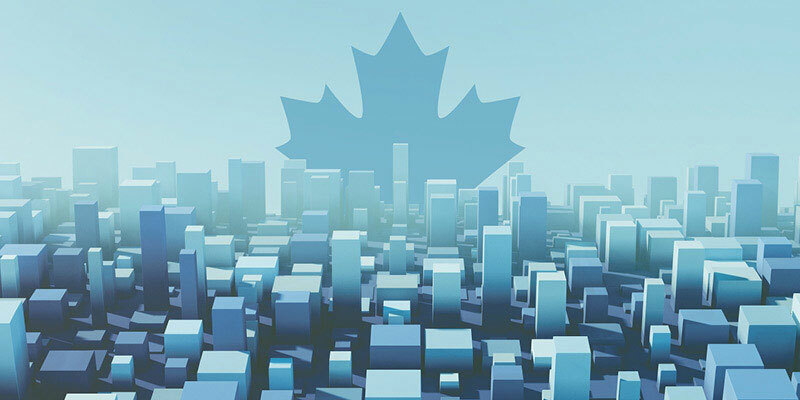 Various recent government reports indicate that the Canadian business entry rate has been declining over the past three decades. This downward trend in entrepreneurship is certainly a great concern to society as business creation is often directly related to productivity and employment growth. Considering the current state of entrepreneurship, some commentators and analysts wonder whether it is possible to increase entrepreneurship and encourage more business creation through various income tax policies. What is the impact of a progressive income tax system on entrepreneurship? Is it possible to stimulate entrepreneurship through appropriate income tax policies? This paper seeks to answer these questions empirically using Canadian provincial data over a 30-year period. Economic models show that the personal income tax system can influence entrepreneurship in many ways. According to one strand of the literature, higher income tax discourages entrepreneurship. This is because entrepreneurial activity is inherently risky, and entrepreneurs pay significant taxes on all their incomes (labour income, capital gains, or dividends) when they are successful. However, when they incur a loss, the tax savings are quite limited. Consequently, higher personal income tax can be viewed as a tax on “success” and may discourage entrepreneurial activity. On the other hand, other studies argue that entrepreneurs have relatively more tax planning opportunities and the potential tax-saving benefits increase with the income tax rate. According to some of the theoretical models that emphasize this issue, higher income tax rates can encourage entrepreneurship, even if it is not productive entrepreneurship. Ultimately, the effect of income tax on entrepreneurship is an empirical question. Previous empirical studies have examined the relationship between income tax and various measures of entrepreneurship, but the results from these studies are mixed. To shed more light on this important issue, this paper investigates the effect of the top personal income tax rate on entrepreneurship using data from Canadian provinces over the period 1984–2015. In addition to the top income tax rate in each province, the empirical analysis controls for the various factors that are generally considered important determinants of entrepreneurship. The empirical findings of this paper show that a higher provincial top income tax rate has a negative and statistically significant effect on entrepreneurship, both in the short- and long-term. The results indicate that an increase in the top marginal income tax rate discourages entrepreneurship as measured by the business entry rate. This suggests that raising the top income tax rate exacerbates the decline in business creation. Based on the empirical results, a one percentage-point increase in the top statutory marginal income tax rate is associated with a 0.06 percentage-point decrease in the business entry rate in the short-term, and a 0.21 decrease in the long-term. Considering the long-term results, a province that raises its top personal income tax rate by one percentage point can expect to have fewer new businesses enter its economy. That drop ranges from 14 (in the case of Prince Edward Island) to 696 (in the case of Ontario). Notably, in recent years, many provinces have raised their top personal income tax rates—Alberta raised its top rate by five percentage points, Ontario raised its top rate by 3.1 percentage points, and BC raised its top rate by 2.1 points. The federal government’s recent four percentage point hike to its top rate will only serve to exacerbate the provincial increases. The findings in this paper suggest that these increases in top personal income tax rates have resulted in a significant loss to the Canadian economy, which has been experiencing a decline in entrepreneurship for a long time. In sum, the empirical results show that an increase in the top marginal income tax rate discourages entrepreneurship as measured by the business entry rate. This finding suggests that the adverse effect of a higher personal income tax rate on risk-taking by entrepreneurs outweighs the potential tax planning opportunities entrepreneurs may have. The study’s empirical analysis includes extensive robustness checks, which shows that in all cases, the negative effects of a higher income tax rate on entrepreneurship remain significant. The results yield an important policy implication: Canadian governments can encourage entrepreneurship with personal income tax rate cuts.